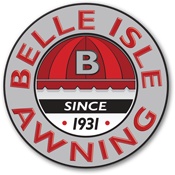 Belle Isle Awning has created durable, effective specialty awning solutions for manufacturers, parts suppliers, machine shops and others throughout southeast Michigan. Our satisfied clients include the “big three” manufacturers’ facilities, as well as OEMs and other industrial companies. Please contact us to discuss your particular needs. Our industrial awning experts will be happy to meet with you to discuss your needs in detail and to propose possible solutions. Belle Isle Awning's Industrial Awning Gallery will show you some great examples of how we can make work better for employees, vendors & contractors.